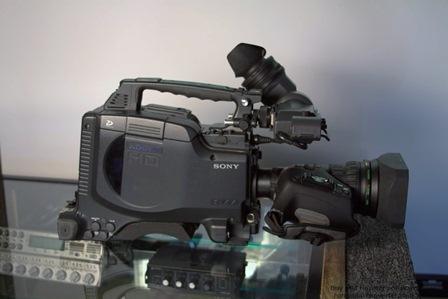 The Sony PDW-F350 brings selectable frame rate recording to the CineAlta family line up. 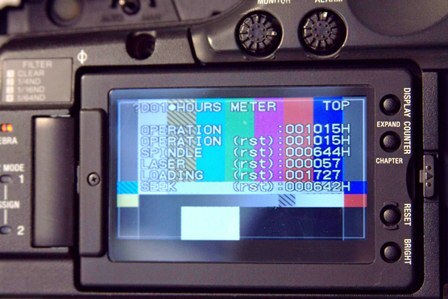 Commonly known as "overcranking" and "undercranking", Sony calls this function Slow & Quick Motion. In addition, not only does the PDW-F350 record in true 24P, but also 25P and 30P at 50i or 60i. And because the XDCAM system is file based recording, users can realize all the associated benefits. To name a few; instant random access and replay of clips, IT network capability and "Proxy data". Proxy data, a lower resolution of the material, can be conveniently used for immediate logging on location, off-line editing, daily rushes and sending the material via FTP for client approvals and more. The PDW-F350 offers HD recording in 1080/59.94i, 50i, 29.97P, 25P and native 23.98P and the operator can also select the desired bit rate to record in, either 35, 25 or 18 Mb/s depending on the desired picture quality and recording length. 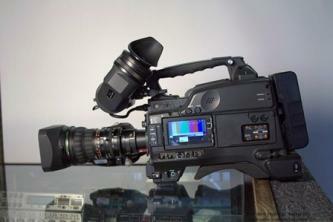 Being a dual format camcorder, it can also record in SD mode at 25 Mb/s (DVCAM™).